Fraud remains one of the most important crimes and causes billions of pounds of losses each year, many thousands of people are employed to try to prevent it, but it has remained largely neglected in the literature. This book provides comprehensive coverage of the main issues involved in fraud, its definition, costs, the nature of the offenders involved in committing fraud, and the issues involved in fraud investigation. It is written by one of the foremost authorities on the subject, and covers fraud in the widest sense, ranging from benefit fraud to tax evasion, credit card fraud, and paying particular attention to fraud using the internet. A wide range of case studies are presented, portraits are provided of the ways in which a large number of organizations seek to deal with fraud. 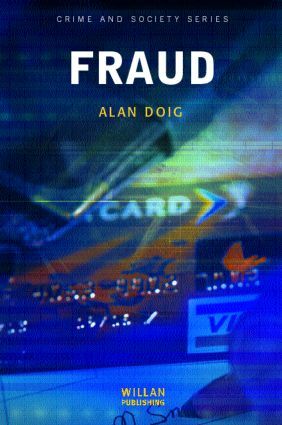 This book will be essential reading for anybody with a professional interest in fraud and its prevention, as well as the wide number of courses within law, criminology, social policy and business and management. Who commits fraud, and what types of fraud? From need to greed – why is fraud committed? Conclusion: the futures for fraud?